The United States Naval Academy Band’s Brass Quintet promotes brass chamber music through education and performance, and is a highly popular and versatile USNA Band ensemble. 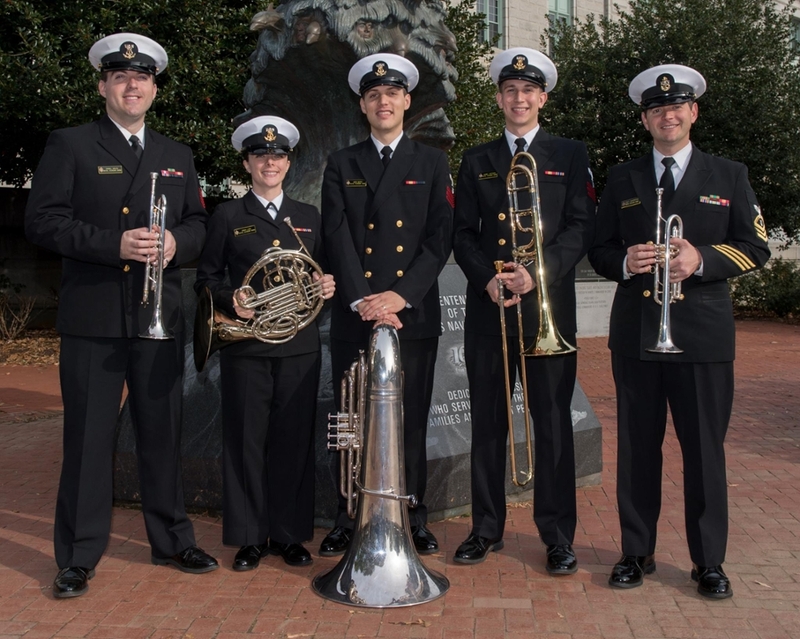 The Brass Quintet regularly lends musical support to Naval Academy functions, in addition to performing concerts and clinics, collaborating with composers in the commissioning of new works, and working on recording projects. The Brass Quintet's résumé includes performances at the US Army Band’s Tuba-Euphonium Workshop, International Trumpet Guild Conferences, the Kennedy Center for the Performing Arts, the National Music Festival, Maryland State Music Teacher’s Association Conference, the Texas Bandmasters’ Association Convention in San Antonio, Texas, Maryland Trumpet Day, DAR Constitution Hall, Washington College, Shepherd University, Catholic University of America, James Madison University, the Armed Forces School of Music, and the Naval War College in Newport, Rhode Island. Over the years, audience members have included U.S. presidents, military leaders, and foreign dignitaries.